For your security, your application must be completed and submitted within 7 days or it will be purged from our system. Please contact us to notify us if you need more time. Our online credit counselling module is a free, convenient and confidential way to get started. You will be asked to enter information about yourself, which will assist us in better understanding how we may be able to help. After we assess the information that you have provided, a certified counsellor will contact you in order to complete the credit counselling session - by phone, e-mail or in person. NOTE: In order for your counsellor to help you, it is important that you supply complete and accurate answers to these questions. If at any time you feel uncomfortable with the process you can contact us and talk to a certified counsellor over the telephone. They will be happy to explain the process and talk you through the assessment form. After you submit your application you may speak with a certified counsellor at any time regarding your personal situation. 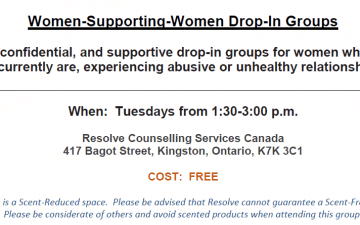 Welcome to Resolve Credit & Financial Counselling Services, a program of Resolve Counselling Services Canada. We hope that your experience with us will be a rewarding one for you and your family. Our aim is to provide you with quality credit counselling and support during financial hardship. Credit counselling encompasses budgeting, money management, creditor advocacy, exploration of debt solutions & consumer education. Confidentiality Anyone who contacts Resolve Counselling Services Canada is protected by the Personal Information and Protection of Electronic Documents Act (PIPEDA), agency policy and professional ethics, which means that a strict code of confidentiality is maintained. No information about you is released to a third party without your signed consent, except as required by law, as in the case of child abuse or upon clear, concrete evidence of planned or committed acts of violence. Please be aware that email correspondence is not a secure method of communication and may jeopardize confidentiality. Any email correspondence between you and your counsellor that discusses more than simple scheduling issues may be considered part of your client file. Within Resolve, your file may be reviewed in the course of routine management or professional supervision. Your file may also be reviewed for quality assurance purposes by third party auditors or accreditation reviewers. 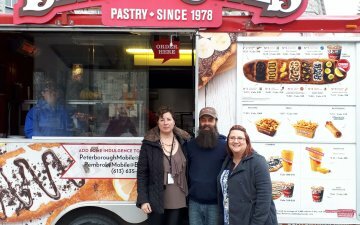 Quality Assurance Resolve Counselling Services Canada is a not-for-profit, charitable organization licensed by the Ministry of Government and Consumer Services. We are a fully accredited member of the Canadian Association of Credit Counselling Services and follow uniform standards of excellence, governance and integrity, including a strong code of ethics. Our Credit Counsellors undergo certification and achieve the designation as an Accredited Financial Counsellor-Canada. This allows them to provide independent, unbiased and professional personal finance expertise to our clients. Client Service Should you not be satisfied with the service you receive here or wish to appeal a decision, please make your concerns known to your Counsellor. If you are not satisfied with the resolution, you have the right to speak with a Credit Counselling Manager. As well, the Director of Credit Counselling is located at our Kingston office, toll-free 1-800-379-5556. Access to Records Client files and the information contained in them are the property of Resolve Counselling Services Canada. You have the right to review your file with your Counsellor or the Credit Counselling Manager. We have a procedure whereby you can request the correction of inaccurate information. Evaluation Your evaluation of our service is important to us. Feel free to make suggestions about how the service can be improved or where it excels. Client feedback helps to ensure we are providing a valuable resource to you. 1) The application can take a bit of time. If you don't finish, you can log back in securely and complete it at your own pace, 24-7. 2) You will be able to modify the information if requested by one of our counsellors, ensuring you will not have to fill out multiple applications. 3) If you become a client, you will already be set up to access your information at any time. This is step 1 of 7. To complete the online assessment all 7 steps must be completed. When completing the following MONTHLY expense categories, make sure that all fields reflect how much you spend "Monthly". For example, if you estimate that you spend $1,200 a year on clothing your monthly expense would be $100. Please enter all your asset information. Boat, Camper, Snowmobile, Camper Trailer, Motorcycle, Tools, etc. Securities-Bonds, Certificates, Credit Union Shares, Stocks, Etc. On the form below, please enter all of your unsecured creditors’ information. 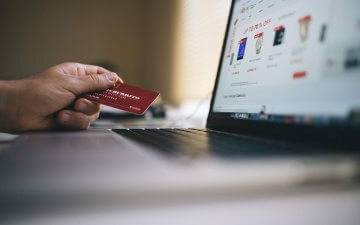 Examples of "Unsecured Creditors" include all credit cards such as MasterCard, Visa, and American Express; retail cards; finance company loans; collection agencies and medical bills. -Do NOT enter account numbers. In this section, you can give us the information about you that has an impact on your financial situation but isn’t in the numbers. The details you share help us get the whole picture. In turn, we are able to provide the help and options which are geared to your issues, goals and expectations. You can also ask questions about your financial situation. All information is kept confidential.